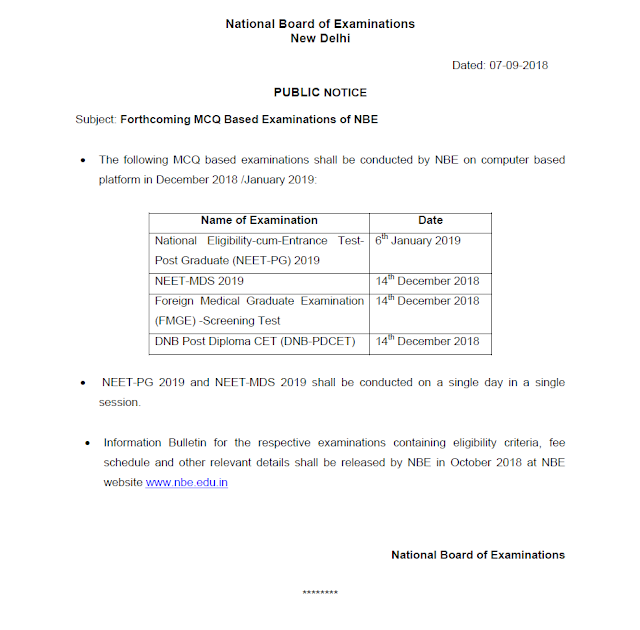 NEET PG 2019 will be on 6th Jan 2019 - AcrossPG Exams! Single Day single session exam. Form will be available from Oct 2018.